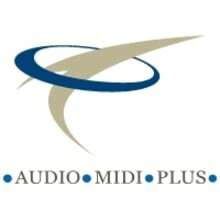 Audio MIDI Plus is a full line retail music shop located in the heart of Carlsbad Village, CA. We are professional musicians and recording enthusiasts JUST LIKE YOU! We carry most major brands of Recording/Pro Audio, Guitars, Basses, Guitar and Bass Amplification + Pedals, Parts, Accessories, and much much more! In business since 1999, you will see why tens of thousands of satisfied customers have purchased from us on many "other" E-Commerce sites. We are happy to be here on Reverb.com, and look forward to hooking you up with the gear that you need! We strive to ship same day....every day. If for some reason, your item is out of stock, we will let you know the ETA right away! Restocking fee applies to "remorse returns," or if the item is missing original packaging, shows unusual signs of wear and tear, or missing accessories. If item is defective, incorrect, or incomplete, we will certainly send you a prepaid return label and waive any restock fee as well.